Luxor’s prosecutor referred four police officers and five low ranking policemen to the criminal court on Thursday for their involvement in the case of torturing and killing a citizen inside Luxor police station last month. The case dates back to November 24 when Talaat Shabib, 47, was arrested at a cafe at 11 pm in the district of al-Amawya on suspicion of possessing Tramadol, a pain killer used ubiquitously as a recreational drug in Egypt. Hours later, his family received information that Shabib died on his way to Luxor International Hospital, triggering protests in front of the police station against what they believe was the killing and torture of Shabib by police. The forensics report revealed that the deceased suffered a blow on his neck and back which resulted in breaking the spinal cord and led to his death. Shabib’s death had sparked public outrage in the Upper Egypt province of Luxor, and has attracted the attention of media nationwide. The case is reminiscent of Khalid Saeed’s, the 28-year-old who was tortured to death on June 6, 2010 at Seedi Gaber police station in Alexandria and whose badly disfigured face was captured in a photo that went viral on social media. Saeed’s case is believed to have been one of the triggers of the 2011 uprising. Egypt’s constitution prohibits torture in all its forms and considers it “a crime that is not subject to prescription”, as per article 52. Shabib’s torture case is among at least three others highlighted by the media in November. El-Nadeem Center for Rehabilitation of Victims of Violence documented nine death cases as a result of alleged torture at police stations in November alone, according to a report released earlier this month. 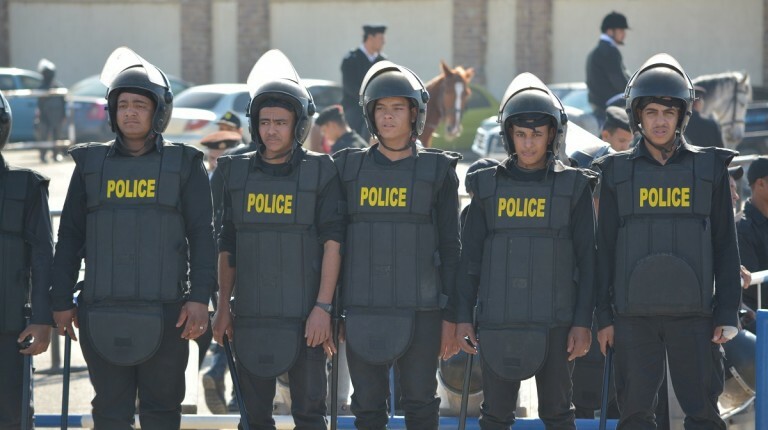 However, President Abdel Fattah al-Sisi said on December 3 during a surprise visit to the Police Academy that the number of cases of police misconduct is small compared to the number of police stations nationwide. He further commended the police force for its quality performance under increasing pressure, noting in an aside that those found to have “made mistakes” in individual cases that do not represent the entire institution, will be held accountable. Local and international human rights organizations have repeatedly condemned what they describe as the routine excercise of police torture both at police stations and in prisons.